Also comes inAdult Plus, Adult Standard and Kids. When you were a little girl you wanted a baby to play with. Your mom said you were not going to get any more siblings, so she gave you a doll instead. It was one of those cute little raggedy dolls. The ones with the yarn hair and the striped stockings. As you got older you traded in the raggedy doll for a Barbie, then the Barbie for make-up. Now, you don't have time to put make-up on. No, you barely even have time to sleep. Your little girl wakes you up at the weirdest hours. And when she decides it is a good time for a nap you have to catch up on the laundry, and the rest of the house work that has fallen behind. And you even get excited for a little peace when you go to work. 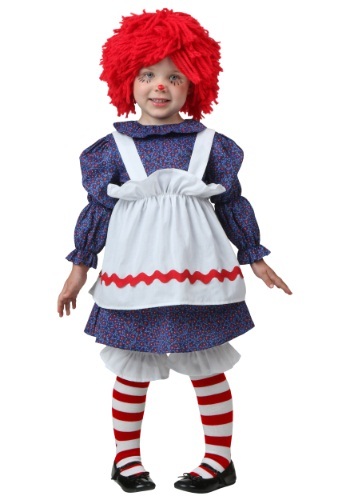 This Halloween dress your sweet girl up in this Toddler Little Rag Doll Costume. You will feel like a kid again, taking care of your raggedy dolls. Your mom will laugh when you stop by her house for trick or treating. She knew that giving you that doll was the right thing to do. All your friends will be so jealous when they see you with the cutest doll ever. 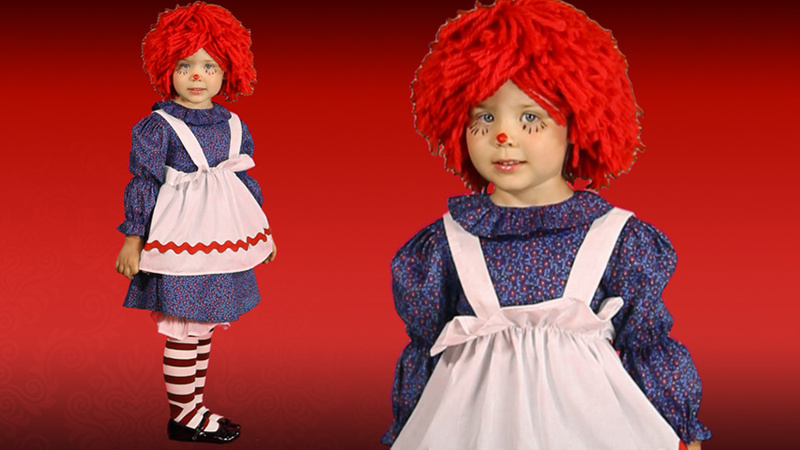 Your old raggedy doll won't hold a candle to your squirmy little girl in this costume, especially when she giggles from the bottom of her belly, shaking her red yarn hair. But then again your old raggedy doll never peed on you.